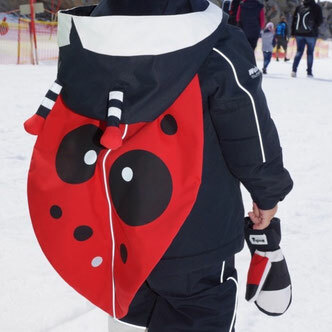 We're launching 2019/20 season's range after a very successful first full season, with lots of amazing feedback on our Snow Funwear. 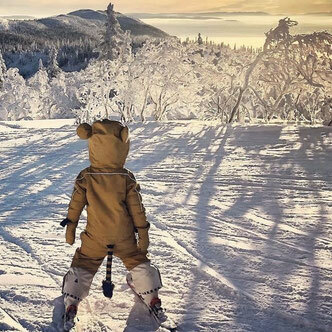 So many of you have sent us praises about the quality of the snowsuits and the practicality of the features. This makes us happy! 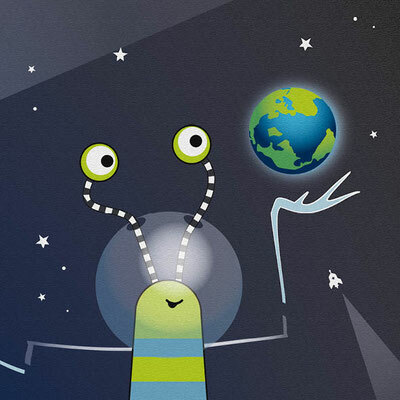 Yet, we are not confident to stay still: While we will always be creating fun characters, we want to be innovating and bringing the best technology to childrens' outdoor wear too. For 2019/20 season we have tweaked the designs and improved our eco credentials even further. 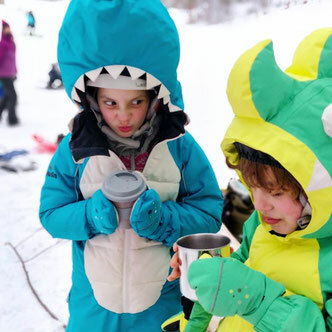 Allowing our little Funwearers to enjoy the outdoors in WeeDo snowsuits for longer. The world is full of lots of big kids in adult skins, we've realised. Big kids who want to transform into one of our magical Funwear characters. Due to popular demand we are introducing a toddler size (18- 24 months) and larger sizes of our children's range. Mums and dads, big brothers and sisters, can get twinning with the little ones! ...these Big Kids sizes, fit a small to extra large builds, increasing in height. The Big Kids sizes also have added functionality taking into account the requirements of teens and adults. Our attachable gloves have proved incredibly popular. However, gloves, like shoes, are not a one size fits all. Some have bigger hands, some smaller. Some adults like mittens, some want gloves. For the 2019/20 season, answering customers' requests, we will be selling the gloves separately to allow the customer to choose the size and design... in case some want to mix things up a little. The new gloves and mittens have a slightly improved design too, with a longer cuff to slide over the sleeve. 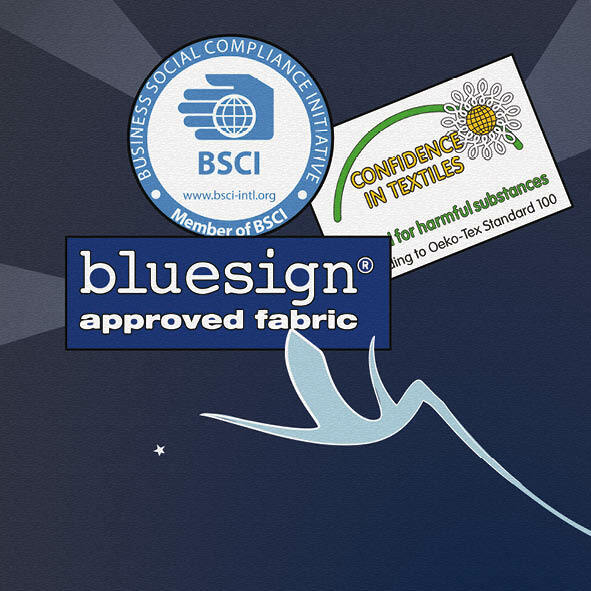 Making fabrics waterproof is a challenge, one that has been achieved mostly with PFCs, Fluorocarbons. PFCs have proven to be harmful for the environment and human health. Thankfully, cutting edge research is coming up with alternatives. In our efforts to improve our eco credentials and reduce the environmental impact of our snowsuits, we are now using an eco teflon coating for our DWR (Durable water resistance) on all Snow Funwear. The most common question we get asked is how warm our snowsuits are. Afterall, it's the most important feature, right? 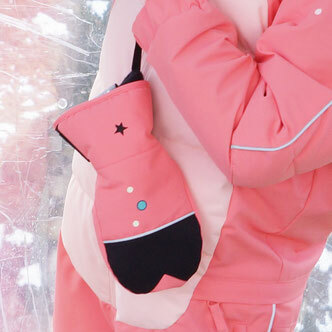 Our Snow Funwear are very warm, having been used by customers in down to -25C, with happy kids. Little reflective details and piping are very important for kids when the short winter days quickly turn dark. We have been working with 3M to be one of the first companies to use their flexible reflective components. These reflective details bounce back light from much lower intensity or further away light sources. The 2019/20 range has the piping details as we've seen on our existing range, using 3M's new hyper-reflective materials and we've added little reflective details to the Funwear too. Snowboarders will know how annoying it is having to lift your rear hem to get the binding to fit snug. Well, we've come up with the hem lift system, where you snap up your hem at the beginning of the day and release it when you've finished riding.